We’ve selected the best places to stay in Hampshire including New Forest hotels and interesting places to stay near Winchester, Lymington, Stockbridge and Basingstoke. Whether you fancy a charming country pub with rooms, a luxury hotel with spa or a restaurant with rooms, we’ve got some great suggestions for you. With hotel rates provided by our Booking Partners, you can check availability and book. If you love the feel of a boutique hotel, you’ll feel right at home in this historic coaching inn. Recently refurbished by the Upham Group, specialists in boutique inns, it offers 12 cosy, but tastefully decorated bedrooms. A couple come with baths but most have showers. 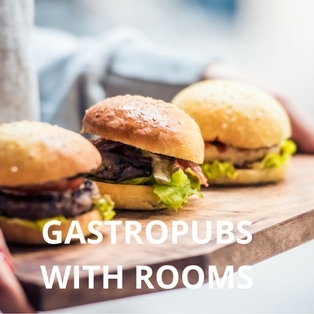 On the menu, modern pub classics such as wild boar burger or cod and chorizo fishcakes. Bombay Sapphire Gin Distillery is within walking distance of the pub so it’s a popular place to stay if you’re planning to do the Bombay Sapphire tour (highly recommended by The Foodie Travel Guide). In the evening, relax next to the wood-burner and order a G&T from the wide selection of gins available behind the bar. Real ales, roaring log fires and a great atmosphere are what the Wykham Arms pub in Winchester is all about. It’s a popular meeting place for both locals and tourists. Owned by Fuller’s Brewery in Chiswick, the pub’s recently refurbished bedrooms offer comfortable and spacious accommodation. Inside the pub, a quirky collection of trinkets, paintings and mugs, and old school desks serving as tables. The location couldn’t be better. It’s just a short walk from the pub to Winchester cathedral, the High street with its independent shops and restaurants, and the river, from where you can pick up lovely walks. A good value for money option and an ideal base if you’re visiting Winchester Christmas Market or Farmers’ Market. The original Hotel du Vin first opened its doors in Winchester kicking off the trend for boutique hotels. It’s still a lovely place to stay for a romantic weekend away. Housed in a Georgian building, dating back to 1725, the hotel has 24 individually designed bedrooms and suites. Crisp white sheets, comfy beds and freestanding baths or monsoon showers are what Hotel du Vin does best. Garden rooms have king-sized beds and their own private patio area. Centrally located, Winchester cathedral is just a 5-minute walk away. Rooms from £129 a night. An inspiring and very special place to stay in Winchester where you are guaranteed a warm welcome. Set in a quiet courtyard off the delightful Parchment Street, with its specialist food shops, Hannah’s is a boutique B&B with a difference. The abandoned dance hall was bought and renovated as a labour of love for young entrepreneur, Hannah, when she was just 22. Her flair for interior design, combined with her attention to detail, has created a space straight out of a glossy magazine. There are 3 bedrooms each with their own mezzanine level where you can soak in the bath and look up at the stars. The light and spacious guest lounge is a lovely place to relax and comes with its own piano. Winchester’s local shops and bars are all within walking distance. From the moment you turn into the driveway, you know that staying at Lainston House is going to be a special experience. Set in beautiful grounds, extending to 63 acres, this five-star country house hotel has a lovely feel to it. The 17th Century mansion is a little slice of English history in the countryside with its handsome façade, period rooms, antiques and grand fireplaces. Bedrooms and suites are luxurious and comfortable. Flawless service, great attention to detail and exceptional food just add to the appeal. Enjoy a cocktail in the bar overlooking the UK’s longest avenue of lime trees. Perfect for celebrating a special occasion and a wonderful place to relax and enjoy time with friends and family. Dogs are welcome to come, too. This hidden Hampshire gem is located in a peaceful haven just minutes from the New Forest and the South Coast. The Mill at Gordleton is a delightful restaurant with rooms frequented by the locals and visitors alike. The listed mill is over 400 years old. It stands next to the river and is surrounded by 3 acres of beautifully kept grounds. Dotted around the gardens are interesting artworks and sculptures. It’s a cosy place to come and recharge your batteries and enjoy delicious food. There are eight tastefully decorated and well-appointed bedrooms in the Mill and a further four, more contemporary rooms, in the Mill House. Seek out this charming country pub with rooms in the New Forest. The East End Arms may be in a secluded location, well off the beaten track, but it’s worth the visit. Saved for the local community by John Illsley, the former base guitarist of Dire Straits, the pub is firmly on the New Forest’s foodie map. After a country walk, settle in to a leather sofa next to the wood-burning fire, with a pint of local ale from the Ringwood Brewery. There are five elegantly furnished bedrooms. You get OKA furniture, lovely soft bedlinen and Mulberry fabrics. The food in the restaurant is delish. The excellent wine list is created by Helen McGinn, author of ‘The Knackered Mother’s Wine Guide’. The Montagu Arms hotel resides in the heart of historic Beaulieu. Outside, picture postcard England. New Forest ponies and cattle freely roam, ducks float on the village pond and vintage cars pootle along on their way to the Beaulieu Motor Museum. Inside, traditional country house charm works its magic. Old fashioned values – good service and warm hospitality shine through. Bedrooms and suites are country house style- all four-poster beds and pelmets. 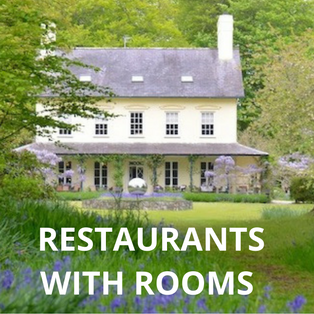 Good food awaits in the restaurant where the menu celebrates the New Forest’s rich local larder. Rooms from £149 a night. You’ll love the peaceful and picturesque setting of The Master Builder’s hotel. Located on the Beaulieu Estate, in the New Forest National Park, it’s nestled on the banks of the river. The hotel draws in visitors to the historic hamlet of Buckler’s Hard where ships for Nelson’s fleet at Trafalgar were built. It’s also a popular spot for sailors who moor up their yachts and pop in for a pint at the bar. As for the hotel, for nautical stripes and seaside charm, book a room in the Henry Adams wing. Bedrooms in the main house are more luxurious and traditional in style, with river views. Check in for the night at The Manor At Sway and you’ll feel like you’re staying in a friend’s country house. Built in 1906, the spacious Edwardian house was stylishly renovated a few years ago. Affordable, colourful and stylish, the hotel has a chic modern interior and an open plan restaurant. There are 15 elegant bedrooms each with super comfy Hypnos beds. Outside, five acres of grounds where you can spot deer grazing. This is a genuinely dog-friendly hotel and a perfect base for exploring the New Forest’s fantastic walks. Sway train station is just a 4-minute walk away. If you’re in need of some rest, relaxation and serious pampering, escape to the New Forest for a stay at Careys Manor in Brockenhurst. Sister hotel to The Montagu Arms in Beaulieu, it has an award-winning Thai SenSpa, offering guests a range of blissful experiences and spa treatments. Once a Victorian hunting lodge, the rooms in the Manor house stay true to the hotel’s roots with their traditional country house décor. Some come with four-poster beds. Not only is Careys Manor a wonderful place to unwind, it’s also a place to enjoy seriously good food. There are three restaurants giving guests the choice of French, Thai and Modern British cuisine. Rooms from £139 a night. Drive along winding country lanes lined with colourful rhododendron bushes, and you’ll reach this grand country house hotel hidden away in the heart of the New Forest. Built in 1887, Rhinefield House is a seriously impressive looking house, built in Gothic style. The ornamental gardens are equally stunning and extensive, perfect for a relaxing afternoon stroll. There’s also an outdoor pool and a small health suite offering treatments. The romantic forest setting, combined with 50 bedrooms and suites, make Rhinefield House a popular choice for wedding parties and special events. Rooms from £131 a night. One of the best hotels in Hampshire. Push the boat out with a break at this exceptional 5-star family-friendly country house hotel. Chewton Glen hotel and spa is known for its consistently high standards, exemplary service, luxurious accommodation, sumptuous food, state-of-the art spa and leafy New Forest setting. 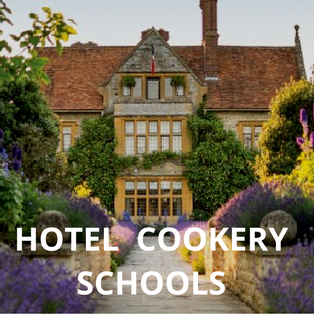 In association with celebrity chef, James Martin, it has also added its own cookery school and informal Kitchen restaurant, upping the gourmet appeal for amateur chefs looking to gain new culinary skills. With over 130 acres of stunning grounds to explore, and the sea just a short walk away, what else do you need to switch off and relax in true style? For a unique stay, check out their Treehouse Suites. Nestled in the tree canopy, they’re suspended 35 feet above the ground and come with log burners, a sweeping outdoor terrace and lush forest views. Rooms from £285 a night. The unspoilt traditional seaside village of Seaview, on the north east side of the Isle of Wight, is popular with families who’ve been coming to the island for years. There’s a little sailing club and, at the hub of it all, just a stone’s throw from the sea, The Seaview Hotel and Restaurant. Chill out with a glass of wine in the hotel’s nautical-themed bar with its friendly vibe; tuck into award-winning food in the restaurant (it’s been given a Michelin Bib Gourmand); and stay in one of three different room types on offer. Some are dog friendly so you can enjoy the fantastic walks on your doorstep with your pooch. The varied and interesting restaurant menu. Try the Bembridge crab. After a day’s walking in the Hampshire countryside or flying fishing on the River Test, The Peat Spade Inn is the perfect place to retreat and refresh. Relax with delicious food and a pint before checking in to your comfy room. This characterful redbrick pub, with pretty gabled windows and a stylish interior, is located in the enchanting village of Longstock where traditional thatched cottages line the route. Bedrooms are in the main house or in the old peat house at the rear of the inn. Stockbridge, the fly fishing capital of the world, is a mile away. If fishing is not your thing, enjoy a potter around lovely shops, boutiques and cafes. Rooms from £74 a night. Talented hoteliers, Nina and Gérard Basset, have recently transformed their New Forest wine tasting hotel and restaurant, Hotel TerraVina, into a boutique B&B with a bustling Kitchen Café. This new concept offers excellent value for money for families and visitors to the New Forest. The couple are experts at creating a warm and welcoming family-friendly atmosphere whether you are staying with them or popping in for tea and cake on a New Forest walk. There are 11 spacious en-suite rooms including a few that are dog-friendly, too.